The annual meeting of the Friends of the Eastern California Museum features an exploration of ancient mysteries and a chance to indulge in some high-class modern amenities. The public is invited to the Friends Annual Meeting, which will take place on Saturday, March 14. The event will begin with a reception at the Eastern California Museum (155 N. Grant Street in Independence) at 4 p.m. with light refreshments. At 5:30 p.m. the action shifts to the historic American Legion Hall for a community potluck. There is no charge for the event, but a potluck dish would be appreciated. There will be a brief business meeting to install new officers for the non-profit Friends of the Eastern California Museum for 2015. Next comes the Silent Auction. People can bid on a wide range of merchandise and services donated by local businesses. Besides books and sporting goods and other local bargains, among some of the more interesting items up for grabs are a stay, including golf, at the Historic Furnace Creek Resort in Death Valley National Park, and a week’s stay at a condo in Mammoth. The Silent Action proceeds will benefit the Friends of the Museum. The evening’s presentation features independent rock art researcher David Lee, of Bishop, who will speak about his work over the past 20 years documenting and studying the Owen’s Valley’s extensive examples of ancient rock art. 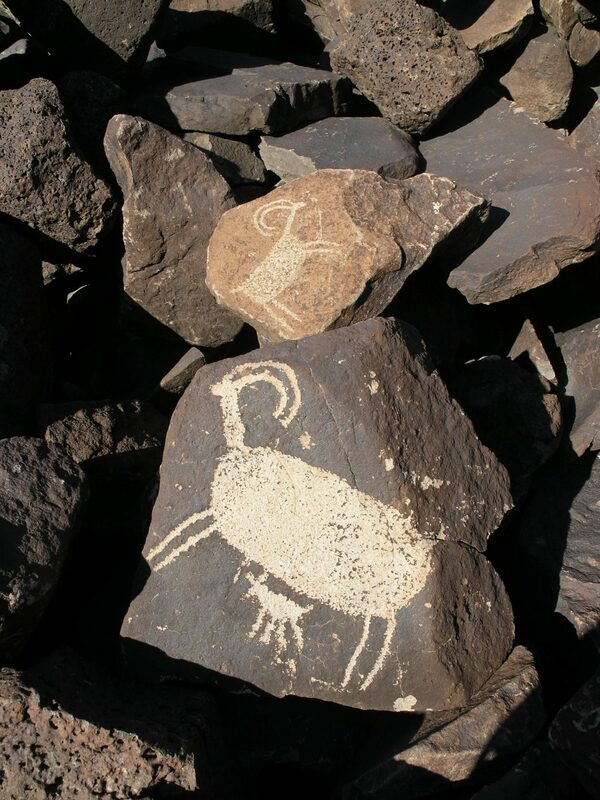 The Owens Valley is home to a spectacular concentration of Native American Petroglyphs and Picto-graphs, and this art can provide clues to the thoughts and beliefs of the region’s earlier inhabitants. Lee and his colleagues have spent two decades documenting these images in the Owens Valley, the Great Basin, and throughout the American west and Australia. Their findings refute numerous earlier hypotheses, and show that rather than being monolithic expressions of hunters or healers, rock art produced by forager societies such as those in the Owens Valley can be seen as playing an important role in the lives of everyone in the group, and in linking that group to specific places. Lee is a rock art researcher, focusing on the function and context of rock art in the Owens Valley, Death Valley, the Great Basin and the Mojave Desert. He has documented rock art in California, Nevada, Utah, Arizona and Australia, and has co-authored several papers on the rock art found in the Mojave Desert and Eastern California. He is a founding member of the non-profit organization, Western Rock Art Research, located in Bishop and dedicated to the study and management of rock art. For more information about any aspect of the Friends of the Eastern California Museum’ Annual Meeting, call 760-878-0364, or visit, www.fecm.org.